The End. This Never Even Crossed My Mind Unil This Evening. An Epiphany For Sure. I never tell anyone what came of each of my blog entries. I say this and this and you never know the outcome....All these things, so what happened? So what REALLY Happened? Did I get worms from the dog licking my mouth? What was really wrong with my COLIC? What happened in class? Did I get told again? I'll start with the first one, with the dog. Dogs have been licking me all my life and I still don't have a tapeworm, but Kiely found a big blue centipede in her bedroom. She's the only one that has a vent to the basement and everyone's working to clean it out the basement so we can have a garage sale. You bug the bugs and they crawl away. Kiely's bedroom was the nearest exit. I took it to Church to show my grand kids. Mostly, I didn't want them to touch it. This is a biter, not a long pilly-bug! 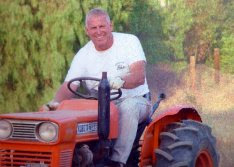 When Steve and I had just moved our house on the ranch years ago. We took the place where the varmint's call home... so we had some centipedes at the beginning of our life back at the ranch. Not to mention, snakes, spiders, mice, rats, ground squirrels, etc. The centipede was blue, first time I had ever even seen a centipede. I lived here all my life, but....I don't know.... and this one centipede didn't like it that Steve stepped on it and it bit him in two places on his foot. Yeah, and Steve was just chewing on me for leaving needles on the floor. IT'S A BUG, STEVE! 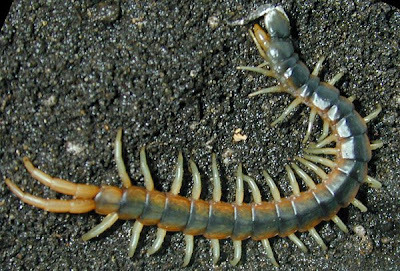 The centipede has front and back pin teeth or stingers. So as he flipped it off, it landed in our bed. Larin was sleeping between us at the time and we "scaddled outt'a there, screaming. I didn't come back to bed until the Pest Control sprayed all whole house. I still scream when I see one. Creepy, Yes... and creepy that I brought it to Church in a baggie. I may get Parvo later this week and I'll let everyone know if it came from Darby the 'face-licker' Darby was vaccinated. 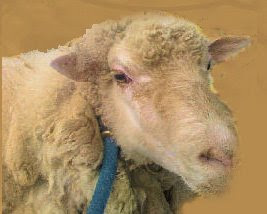 Worms--I'll just drink some goat milk before the withdrawal time is over from an Ivermectin wormer treatment. I wormed my Grandpa Joe that way. Just to let you know, I did wash my face before I went to bed and that's why I was up and awake for the alien varmint. Next: I worked hard to be above the sad day of going to class. All my kids and spouses told me not to go. No, I'm am truly over it. A little part of what the teacher said was true, but she doesn't know when to stop. Soooo, I decided that like Babe, my horse, and favorite teacher. I would use my teaching from my youth. Babe would buck me off and I would climb back on her back shaking, and ride it out. Also, when I went to go catch her to ride (every single day) she would always come at me full-blast, ears pinned, teeth out. I had the feed bag with rolled oats. How did she think she was going to get the luscious treat of rolled oats? As soon as Babe was close enough, I slapped her muzzle. Babe turned cute and the 'buffaloeing' was all over. Well, until I got on her and she started her barn-bucky routine. Pull one rein in up and hard, she'd forget to buck. It took me almost 10 years to learn it. But, I never, ever forgot. So... class was easy. No, I'm not going to slap my teacher, no, no, no -- but I can put-up my hand, like stop and take her mind off what I don't want to talk about. 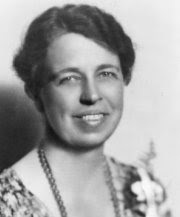 One of my favorite Elanor Roosevelt quotes is: "If someone betrays you once, it's their fault; if they betray you twice, it's your fault." The other one I love is: "You gain strength, courage and confidence by every experience in which you really stop to look fear in the face. You are able to say to yourself, 'I have lived through this horror. I can take the next thing that comes along.' You must do the thing you think you cannot do." I went again to class like nothing happened last week and I was spiritually prepared to "take it" this week. No boxing gloves. I need her to help me learn and I can still love her and just pray she sees the sensitivity and love of the Savior in my eyes and not demons. I have a deep desire to really to do the important work that I need to do so much. She did lead me and help me and I received a huge amount of information from going, being there and not slinking away with my feelings hurt. What good could come of that? Last, but differently not least. I'm okay physically. I not completely well. The terrible stomach ache... guts twisted or kinked and they were straightening out. My system is still not completely unfolded, but I have the right diet for the condition and another crazy medication, it will right itself. Yeee....ahhhh. Things slow down when you do. Slowing down is not a good thing. 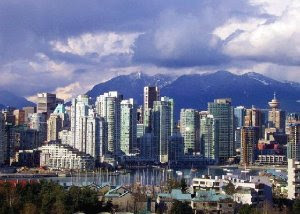 I'm swimming all the month of May, including during my trip with my dazzling husband on a cruise to Vancouver. Hope they play "Twilight" music. Thank you Elders for the wonderful, faithful blessing that I needed so much. Elder Levitt, your first blessing will never be forgotten, you are precious. I pray your Natasha waits for you. This isn't a passing thought...I'm going to be super seasick on the cruise up to Canada, but I will happily barf all the way to Vancouver to see where Twilight's Sequel is being made. Yippee! You'd think this cruise was for MY BIRTHDAY, not Steve's but, "HEY!" He does dazzle me! Perfect! Yay! Do You Want to Know The Soap Opera Endings or What? Pet stories ..... boring ....... Straight to the point. I was sleeping on the sofa all alone and waiting for Kiely to come home from a date. I forgot and left the window to the front door open. Dog jumps in. I'm sound asleep. I heard thumping, peek open my eyes and see this! I think she had been scratching fleas. I was okay with her inside since we've had mountain lions lately, not even thinking how Darby got inside. Anyway, I went to sleep deeper.... Suddenly, the dog's lickin' my mouth and my eyes like crazy. I sit-up waving my hands all around. "Quit!" and she goes over and lays down on a towel. I go to sleep as deep as before. I was so tired. Then "Bingo!" That dog is lickin' my face, my eyes and my lips, up my nose, and now yipping at me. I pushed her down and said, "Stay!" She looked confused and I know, I looked mad at her. I didn't even get up to wash my face. Back to sleep instantly...I'm not sure even if I really woke-up all the way the last time. AAACCCKKK! This is it! She is doing it again, only this time, all the above and she's on top of me! And I wake-up snort, snort, snoring! duhr. The dog was either trying to saving my life and was worried about the weird noises coming from my face or Darby hates snoring, couldn't sleep, and Darby was telling me to "Quit it!" I went to bed. Not much later ... Now, I'm still completely awake and I hear Darby growling in the kitchen. She ran into the bedroom to get me ... barking like Lassie with her hair standing straight-up. I was awake enough now to know a window was open and an opossum, raccoon, or varmint was in my kitchen. I freak-out! The light was dim and I found my weapon ..... my camera, so I could record of video me being attacked by a strange Chupracabra. Well............ the story ends here. She was barking, growling, and attacking two purple balls that glowed in the dark. I took a picture of one and the silver decor glows in the dark. It sorta' looks like a face of something. I thought it was aliens and I wa s about to send the picture to Coast to Coast. I can be one of those that had a "Close Encounter With Purple...... round things" hahaha I know she would have attacked if I said, "Get 'em!" She was mad and she was brave because these balls are at least nine inches in diameter. Darby got kicked-out. I locked the door window. Kiely came home and put Darby in her kennel. I learned that I snore AND purple balls can be dangerous in the dark. "Darby is the Wonder Dog"
BTW Darby was in the house while Kiely was studying for a final a couple days ago. Kiely needed to be by the computer and carried all her books, papers, binders, and junk---completely filling her arms and walked across the room. She dropped her pen as she started to move her supplies and Darby scooped it up right behind her and when Kiely sat down ... Kiely put her hand-out and Darby set the pen in her hand. Kiely said, "Thank you." Darby sat and Kiely started working. We always wanted a Red Queensland Heeler and we thought Little would be red. Little is blue and white with Dark points, but her skin is still red. She was born red and with the flop-over ears and squaty body and also was the runt. Unwanted. We named her Little Pig. Everyone knows runts eat way more than they should. She needed a run-around pal to keep her moving and play. 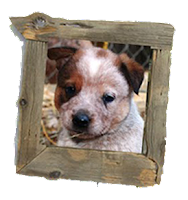 Larin got Kiely a really Red Queenland Heeler from Arizona. 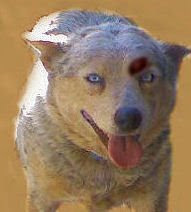 Okay, we got a Queensland Heeler but where did Darby learn this stuff? How did I miss all this and why is this dog so smart? A friend? Who happens to teach a class I'm in, proceeded to tell me how messed-up my life is. I'm the only one in the class except her assistant. I need to preface this all with ... before I went to the class, I felt better than I have in a very long time. 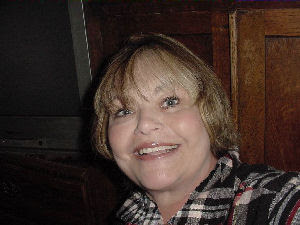 I felt pretty, my hair was right, my make-up just right, I had on my favorite dress from my sister-in-law... that's rayon, flowly, and a beautiful black and white gingham. I put on my grandmother's cologne (not her's exactly..but her brand) I smelled like someone I loved and to top it off.... My husband gave me a beautiful red rose and he told me I was the prettiest girl in the room. I felt giggly. I've been praying so much lately, reading the scriptures, receiving blessings that completely have put me a place in my life that I have always wanted to be. I've been on a spiritual high that has literally been wonderful. Then, I went to class and my teacher wouldn't teach me: I Was Facing Gossip. She scolded me harshly for spending my time helping my family. That my family was making wrong decisions--she could "see it" way before! She actually "knew" this was all going to happen years ago. She has been receiving information about me for years? Who's telling her? Now, I'm being very kind here, it was worse than I can write. She even said my unbaptized grand-daughter had legions of demons. Oh, there's more..... She wouldn't let me defend myself. I just kept nodding like those dolls on the dash of a car, on a bumpy road. I had told her that I was called to be a webmaster. Why I said that, I'm unsure. She said to thank her because she called me to that position. She is a physic and can see the future all the time. She also could tell if a person is evil, by their eyes and that evil persons will hide or shield their face from her. My dear Bree, called me from Arkansas and we talk daily. 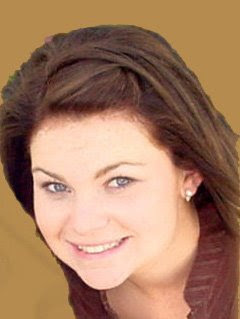 Bree, as a teenager, has seen the future just minutes before something terrible happens. Like when a man fell out of a tree and she knew it, and told us, and he did. Then, another time she thought an older lady would fall and she lady did fall. Bree didn't make it there to catch her in time. Sooooo. I'm again, trying to rationalize that maybe my teacher has these gifts and maybe she "can see" legions of demons. She's very convincing. She proceeded to tell me that I should order my children, to take my grandchildren away from me babysitting, because I have to learn and be more prepared with my assignments. And, my children need to learn to take care of their own children. (I'm not helping them?) The grandchildren were not my responsibility and my children are USING ME. I WANT to be USED! She told me I was just making excuses of how to get out of doing my work for that class. I going to add here: She does the same for her family, I mean help, like help them. But still... I said nothing. It was a 50 minute tirade of well...summary: I'm a mess. Her quote--- said with harshness, "How old are you!!??" "You need to grow-up and quit being so nieve!!!!" So I'm nieve--I don't know even how to spell it, so I guess I am. I tried to talk to Bree. I sadly said to Bree, "I Got Told" I had said that to the teacher of the class as I was leaving, "Well, I just got told!" I did say that! Also, I'm getting more depressed everyday. I said, "I went with a beautiful dress and a red rose and as I left to go home and as I walked down the long hall the beautiful dress I was wearing.... was tearing apart, shredding!" "My beautiful, favorite dress became threads and slashed like I had been attacked by claws. "It was just thoughts, but really.. I was thinking that. Totally weird thoughts and I became very sad. I told her I had to hide the dress at home and then, I cried. She became so angry on the phone, she cried. Bree said, " Mom, you are shredded, your spirit is shredded, not your dress." I tried wearing it to YW, on Wednesday. Yes, it's still un-mended, it didn't meld back together. Now, I'm crying again. I called my teacher on Thursday. She answered with almost a "What!" I asked a simple question, that I really knew the answer to because somewhere inside me I thought she would say something...different... like sorry. If she reads this she'll know I'm referring to her and she'll be angry. No one will know it was her. So, if you're reading this. You hurt me and I'm going to be okay. Normal people don't go back to classes when this happens. I received no instruction except to get my "house-in-order" and until then, she wouldn't be able to help me. Not just my lessons (that's what I'll call it), but my life, my disheveled house, and my attention. She's asking a lot there. We are having a garage sale and she asking the "Queen of A.D.D.' to give her attention?" I'm still the nodding doll. I love all my children and family, unconditionally. Though thick and thin, no matter what. Isn't this what life is.....unconditional love and charity. BTW. I'm not mad or venting, well...a little venting. I'm trying to figure this all out. Like WHY? I'm trying so hard to live a good and sweet life. Quote from Marnie, "Our family is closer than we've ever been in 13 years." "Don't worry." I think I'll wear my Easter dress next time I go. Should I cut my hair? 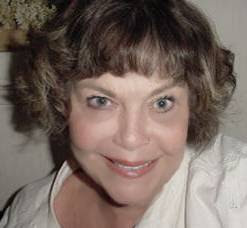 I talked to my husband and he said the same thing he always does, "Whatta' want me to do? Go shoot her?" (so....if she dies, it wasn't him...we have no guns and that was a sarcastic remark from a firefighter who saves lives) I said "No....don't shoot her." and he turned over in bed and said this, that always goes with along with his previous question... "THEN, GET OVER IT!" 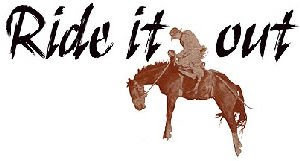 I need to get on a horse and ride it out. I'm going to look for a graphic. I can think of a couple I won't post. Better yet, I'm taking a friend with me to class. Always remember it's hard to write on a blog and then edit your mistakes when your crying. Are There Normal Days In Anyone's Life? I just finished writing my title to this blog and I dropped the telephone reached to pick-up it up and my glasses fell and broke. I then stepped on a brown watercolor pencil (not the cheap kind) and last, but probably not least, I dropped my "A:/" drive that I'm trying to use to retrieve all my pictures out of my very old, floppy discs. It's not a "spring day" it's like summer. In some ways this day was like a lot of others, but it isn't. 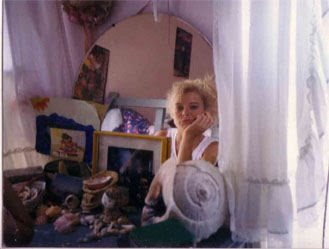 I know that one would think the picture in the mirror below is Kiely, but it's Tressa, my oldest when she was about 14. She's looking in the mirror and thinking what's next? I heard her say, "I don't see my future and maybe my life will be over by the time I get out of high school." Does every girl think that? I told her she wasn't a fortune teller and there are probably a lot of surprises just waiting to happen around the corner. There were... and still are.... blossoms of them. Spring time comes and a renewal of life begins again. The threat of life taken away, is always in my mind and prayers. How could I not think of it, when my husband is on duty and I hear the sirens? I hope others pray for the people involved in the calls and for the emergency responders to the calls. Thank you, Tress, for reminding me that you do indeed worry and pray for them all so much. Sorry there were so many, many calls in Fillmore today. I love spring because of the new babies at the farm-the old ones still have new babies and seem to appreciate their babies more and more. Molly is due soon and I can see Miracle will probably have her first kid... near the first part of June. I didn't think we would have kids this year. Our buck is so young, but for me... I think I was blessed with goats to milk this year and I look so forward to it. My best thoughts and motivation come to me when I milk by hand. I have a milking machine, but with only two in milk it would be such a hassle to carry the hot water to the milk house. Besides, I get all the love from the does when I milk them out. They give kisses and it is very hard to shield your lips from goat lips when unlocking the gate. I always thank them for blessing me. Plus....it gets me up, dressed and ready for the day. EARLY. 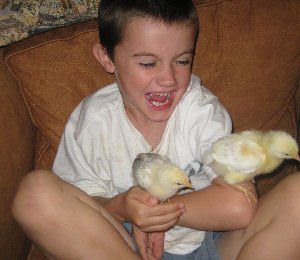 Chickens and Chicks Are A Blessing And Even More So--- Are My Dear Grandchildren. Check Larin's site out! We are having another grand-baby and it's a GIRL!! Santa Barbara is so close to us. 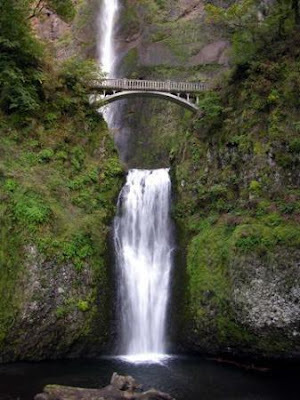 Lots of places that are dear to our family are just a few minutes away. 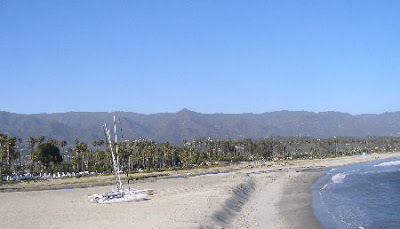 We can be in Santa Barbara (without lots of traffic, not the weekend) in 53 minutes. Santa Barbara one of our favorite places we go to just appreciate the beauty of the sea and the calming affect of the boats sailing by. We love Ventura, especially Surfer's Point, near the fairgrounds--so fun to picnic in the car, watching the waves. Yesterday, while I was getting my blood pressure checked I went there, in my mind. My blood pressure was way lower than normal and I was very worried when I went in for my appointment. Hey, those lessons in Lamaze help you all through your life. I needed an imaginary place to go. Well, it's not that imaginary--I was just there a couple days ago. It seems that I may have something going on...or not. First thing the doctor told me was I had a twisted intestine and needed a CT scan immediately. There are possibly other things that could be going on. "Colic!" I said, startled. He said, "Yeah...?" I guess colic means different things to different people. Before I had my CT scan Steve was going to give me a Priesthood Blessing. One of the firefighters became ill and had to go home and they called him in to work suddenly. I also got called to go into the imaging center early, the doctor wanted to get my results read right away. The receptionist told me to hurry. I just kept chuggin' the berry, 7-up tinged, melted ice cream concoction (Barium Sulfate Suspension) I had to call it something because it was like... never mind. I wanted a blessing, so I went to the missionary's apartments and went into the lot. No car. They were supposed to eat at our house in a couple of hours. I thought just by chance they were there. I went just 50 feet and saw another driveway. I drove in there and saw their car. I parked and waited. How would I know their phone number, their apartment? It was only just after that thought, and the phone rang and it was my daughter Marnie. Luckily, I hit the right button to answer the phone. Kiely just told me how to answer it that morning. Marnie said she was returning my call. ****Side Note: I don't know how to use the phone--I traded phones and numbers with Kiely. I didn't call MARNIE... Kiely did, NOT with her phone or her number, but with mine. I've had the phone a couple weeks, I just didn't take the time yet to figure it out. But... I answered it. I asked her to quickly to call the Elders and tell them I was in the parking lot and needed a blessing. I couldn't explain to her and she didn't even know I was going to have the CT scan. The Elders came down and blessed me. I cried and held one Elder's hand to my face. I felt such comfort. I listened to piano music all the way to my appointment. Part of the blessing was that I would get to my destination safely. That doesn't seem like such a big deal, but the traffic was terrible and I didn't know the lanes to be in and honestly it's like a puzzle to get there. I had at least five drivers wave me in. They were so polite in the middle of a bunch of crazy drivers. Okay, I was at the front of the crazy drivers, just kidding. Old joke! The Elders don't know, my family doesn't know, but I know I was amazingly blessed. Without seeming like...I don't know..it's hard to talk about. tear. My testimony again was strengthened. There are NO coincidences like this. Hard to explain on a blog or journal, but in my heart I feel the Spirit and Comfort that I still very much need. I do feel so much better today. No appetite, but... Hey! I had some super, gnarly drink yesterday. 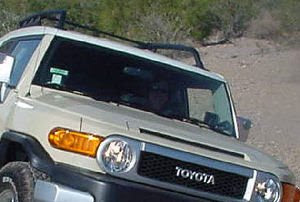 I feel like I want to go for a cruise in the FJ. See my smiling face when I almost rolled it? I'm grateful I didn't roll it, too. Steve helped me correct my driving by dropping the camera and taking over the wheel. Look carefully... I'm the only one in the car, and that's for a reason. Yes, I am wacky-smiling, like it won't roll! "Steve....it's got articulating suspension, right?" Yes we are still getting reverse 911 calls on the mountain lions. There's a helicopter flying over our house right now. Dawn and dusk scare me the most. 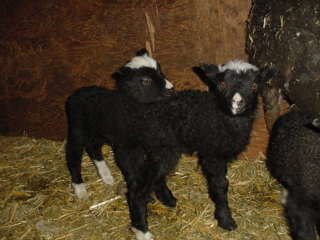 I have three tiny lambs calling lions and one medium sized lamb that won't stay in the sheep pens. Interesting that when the lions are here... and they have been, one lion ran down our driveway the other day... The animals get so quiet, it's spooky. All but the baby lambs, that is. If our dogs are out of the kennels, watch -out! Little, our blue Queensland Heeler, was so frustrated by missing her chance to tree the lion that she went after our mare. She just heels it! Little is old, fat, and walks different these days. She and I are, oh nooooo, the same. hahaha Yes, if you have a dog long enough you start looking like your dog!? Well, she couldn't move fast enough when Banner kicked and she was hit in the face, just missing her eye. However, she had a good--I mean bad, concussion. The eye area that was hit didn't even bleed. The eye itself turned to almost all whitish-blue and no pupil, she looked freaky! The other eye completely dilated. She wanted to sleep, so we stayed-up almost all night with her. Little has a messy eyebrow, but she's still her old self. She and I need to stay-out of Jurassic Park. Who does Kiely look like now? "Facedub" With My Grand-daughter's Hair. Okay, I like her hair brown. The Elders still were fed a really good meal last evening, thanks to Kiely and Randy. Kiely even made the four Elders brownies and bought them their favorite pop. I just counted my blessings in our living room. ****Added Sunday April 19, 2009. I don't know if I should keep adding these little notes. I just want to make it clear, very clear... I'm not that special to have these blessings, first. Second, I didn't really want to share my illness stuff with anyone. Hey, I didn't even tell my family--just my husband. 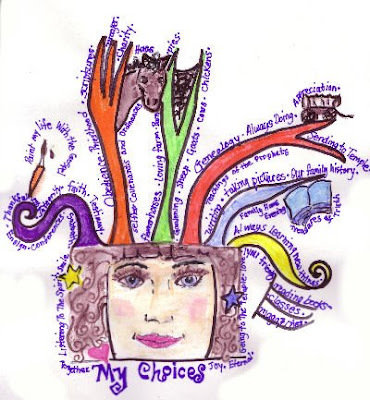 The reason for the writing in my blog was to say... I was spiritually blessed so much that it would seem so ungrateful if I were to pass this experience and not mention it or let anyone not know that they may receive these same great blessings. Health just plain goes with aging and I've heard that "Getting Old Is Not For Sissies" and I can see that we will and can have greater trials and challenges. It's how we respond to our tests in this life and how we endure hardships, troubles, or adversities that show our devotion to the Gospel by going on, carrying on, and persisting in the Lord's work while we're here on earth. We had a joyous Easter. Sunday morning was amazing for Steve, Kiely, and I. Steve was able to drive-in and see and hear Kiely's talk on the Atonement. He was on duty and was just released from an incident and the engine was right near the Church. He stood at the door. Kiely gave a powerful and moving talk that was just so good. It was wonderful to hear her not only her testimony, but even about how so many of her prayers have been answered. There's much joy in knowing she has so much faith. I enjoyed Sacrament Meeting, not just because of her speaking assignment, but because of the deeper feelings I had when partaking of the Sacrament. I read some of her talk before she gave it. Didn't add or correct anything--it just made meditate, increase my testimony, and realize just how incredible "Partaking of the Sacrament" can be for us all. And.... my experience in the Family History Library during Sunday School brought to light my need to fix some of my work that I thought was already done. There were records that I had checked that haven't been recorded and it's not that there wasn't enough time. The records were skipped, by me. Sigh. The "NEW" Family Search is a bit time consuming, but has taught me so much already. I'm fixing my Family History! "Genealogy, I Am Doing It!" To watch the slide-show. Please turn-off my music on my red player. I love Hawgs, Hogs, and I'm Really Warmin' up to Piggies! I love lambs, too! Last Tuesday, as President Obama got off the Helicopter in front of the White House, he was carrying a baby piglet under each arm. The squared away Marine guard snaps to attention, "Nice pigs, Sir." The President replies: "These are not pigs. These are authentic Arkansas Razorback Hogs. I got one for Secretary of State Hillary Clinton and I got one for Speaker of the House Nancy Pelosi." The squared-away Marine again snaps to attention, salutes, and says: "Excellent trade, sir." Oh, dear I hope I didn't offend anyone...so you say, "Take the story down!" The dear girl that sent it too me... is flushed in the face and I know she regrets it. But...being from Arkansas (not me, her) I can see she was just moved to send it to me because I love those Fightin' Hawgs. Actually, since Hillary is from Arkansas, she won't be upset much. I know the Marine was proud...because I saw the new fighting jets that are being built in Arkansas and they have "Hawgs" as a logo, actually painted on the jet-fighters. Kewl. 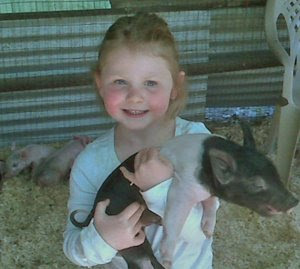 This is my darling grand-daughter with a little piggy. She wanted to hold a new one so bad we went up to love on 'em. They smell like newborn puppies, but they were screaming away...Steve is the only one that didn't kiss 'em good-bye. I didn't get near the sow. I have a sow-biting history with a number of expectant sows and new mothers. Why do sows hate me, was I imprinted with "Watch yourself, this old gal will poke you with needles?" So-- I give shots when required. 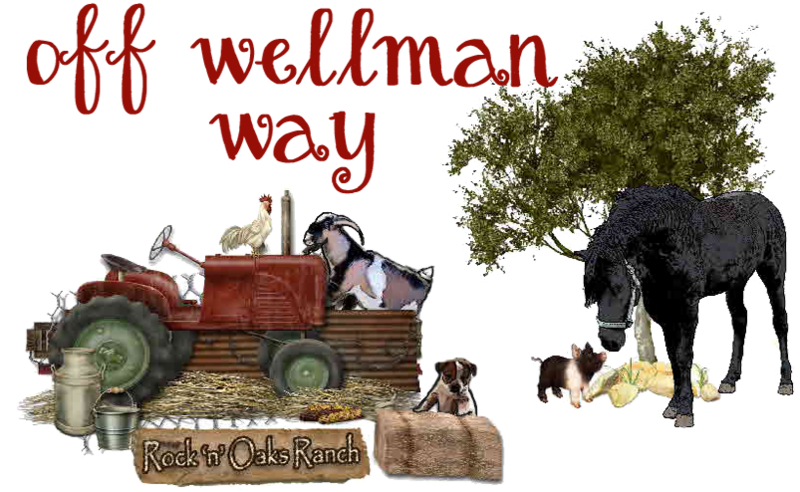 If anyone can ESP with animals, could you spread the word that is a necessary part of raising farm animals. Tetanus is fun? The babies looked so much like "Babe" and "Wilbur". And were just the most darling creatures, ever. Don't think that I never see the big ones. I've seen the feral ones and I've seen thousands of pigs at the fair over the years. Steve and I counted...I've been to each fair since I was a baby, 58 years. 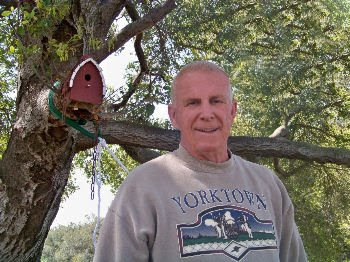 I've been active in 4-H and FFA for 39 years. I can't believe it. I guess I will this year too, but taking pictures. Dustin's little girl still loves the little lambies and they don't smell like puppy dogs, they smell like raw lanolin and the Finnsheep wool is just so soft! Note to Me...favorite sedative: carding wool and neatly making rolags. Piggies, Pigs, we wooshed 'r Hands and The Piggly-wigglies were too Hard To Really Kiss. Grandma Was Freaked-out & A Good Parents Joke Like Always. The Gift Worth Waiting For Or Steve Should Have Wreaked The Fence A Long Time Ago! Funny things happen around here that I just don't understand. Okay... Get this! Steve is moving panels around and trying to straighten our stallion's pen into a long big rectangle. Yes, in a way that in itself is funny because Sonny, the stallion, likes to move his pen everywhere. Sonny would be a great boarder (not). As my husband is working frantically to finish, he has a CERT class to teach tonight. He tweaked a panel. I think he actually broke part of it. Steve came in and sat down all put-out and said, "I hate those dumb animals, hummp!" The phone starts ringing and I... as fast as my penguin legs could move me ... I answer and a familiar voice says, "Hey, is Steve there?" My Steve is never in the living room sitting down. I said, "Yeah?" and just handed the phone to my Steve. He said things like, "No kidding!" "Really?" "Okay!" "When?" "Does it have a tow?" I'm thinking.... "Oh no, not another enclosed or open trailer"...my thoughts went to, yep ..well that's okay, I have my stuff. We won't go there. Steve hung-up the phone and did this silly dance all over and I took a picture. There! Wanna' know what his longest, best friend forever, gave him? A real snake? A real trailer? No! 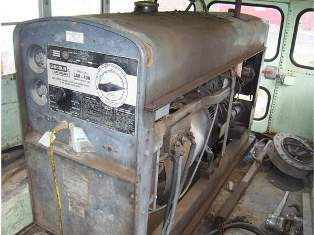 Steve has wanted a Lincoln Welder since he was in high school. The picture above looks like it & best I could find on welders. I know it works great and super industrial size. Yay! I might could have some projects for my dear husband. hee hee. 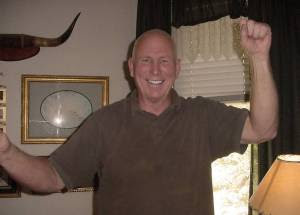 BTW the shaved head on my husband in "the dancin' picture," is really shaved .. not bald. It was a fundraiser for Cancer Awareness with Fire and Police. You donate money and then "Bic" the head bald. He likes it, but I still like his flat-top. At least he doesn't have that white, high, preacher hair. It does that when it gets long. Hair that's white, high, and tall. Yuck.... The flat-top means "seriously." The shaved head is way too much work and he bleeds. Below is a picture of me last night. It was amazingly hard to do. How do people take pictures by just holding the camera up. I blink immediately. So with help... here it is to compare to my own rendition of my self-portrait. So, I don't care if I have saggy cheeks. I laugh too much. If I'd had to shade the cheeks in on my picture it would look like Frankenstein stitches that I don't really have yet. And...I should have put dark circles under each eye. First time water-colorer. hahaha I would have looked like I had been in a fist fight! But for now-- I'm using more green cover stick tomorrow on my real face. 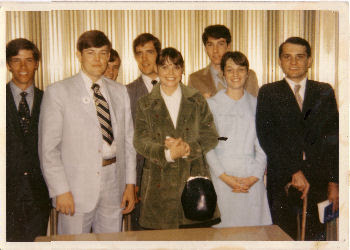 Left to right: Gordon Lonsdale, Elder David Ross Jensen (baptized me) a greenie missionary, The Zone Leader, I'm in the center with the green coat, Susan Wellman, Randy Skinner (new convert) Kathy Brown (new convert) and dear Elder Thorton Lee Jewkes, who Confirmed me and blessed me with the Gift of The Holy Ghost. This is the 40th year of my membership. Yeah, I know, I've blogged about that already. This day was the beginning of my life because if this wouldn't have "Come To Pass" I wouldn't have met my dazzling husband and have the precious children that bless us so very much! One thing I really remember at the Institute of Religion at the college that we were told by Brother Mitchell, that we should warn our neighbors and peach the Gospel to everyone, because in the after-life my acquaintances will know that I was given a great blessing to share. We are told about missionary work often and all will know I didn't share with them the same opportunity that I had. I was in awe that when the Church News came a couple days ago, on the back page is a quote from President Henry B. Eyring at a Conference and he spoke on this same subject. He said, "We are to talk with nonmember friends and relatives about the gospel. Our purpose is to invite them to be taught by the full-time missionaries who are called and set apart to teach. When a person has chosen to accept our invitation to be taught, a "referral" of great promise has been created, one far more likely to enter the waters of baptism and to remain faithful... (I was a referral and I've tried so hard to remain faithful) "Well, the danger may be hard to see, but it is real, both for them and for us. For instance , at some moment in the world to come, everyone you will ever meet will know what you know now. They will know that the only way to live forever in association with our families and in the presence of our Heavenly Father and His Son, Jesus Christ, was to choose to enter into the gate by baptism at the hands of those with authority from God. 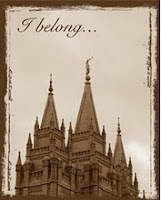 They will know that the only way families can be together forever is to accept and keep sacred covenants offered in the temples of God on this earth. And they will know that you knew. And they will remember whether you offered them what someone had offered you. I've got to do more to be a better missionary. This quote has come into my life, again and with even more meaning. What more joy would be ours to meet in heaven those who joined the Church with me and have no regrets. I made a funny self-portrait and as you look at the word portrait, itself. There is "trait." I have traits. One lip is lower than the other and I put that in my picture. Of course, while I was doing this Dustin was here and he was asking me WHO is that? So, I guess it's what I think of myself. I have fluffy hair, big eyes, scars that I hide with mucho make-up, but my thoughts in my head are all over the place. I have cobwebs in my thoughts. Mostly about the farm and how much it costs us. My legs, our money, our work all go so much into it, including the garden. Is it worth it to the family? I hope they say yes and that the work and time they spent at it was for their good. I remember this picture from something I saw on the internet. I can't remember too much about it. The colors were different. The person was perfect and the goals and thoughts were few. Very interesting way to show ourselves, but I loved it. I couldn't fit all I think about in my life. I constantly hope of being a better person and those thoughts are always flying out maybe as prayers, my conscious, or just in defense of myself. Too me only. I didn't think of soda pop. hahaha Or food? Now, that's interestin'! 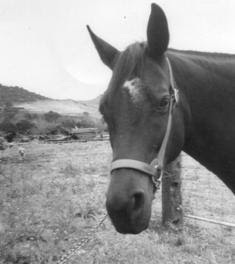 Do you like the Curly Horse? Banner looks like me. Old, turning grey, fat, and definitely stubborn, notice we have the same hair? I loved on all the animals today. I'm so scared of the mountain lions. We had reverse 911 calls a couple times today and the helicopter looking for the lions were circling our place. Scary. All the goats and sheep are going in the barn and horse trailer tonight. It'll be a tight fit, but I'll sleep better knowing that they're safe. If it rains--double plus--they'll be dry. Love you all. Mean it.